Troy Klongerbo of U.S. 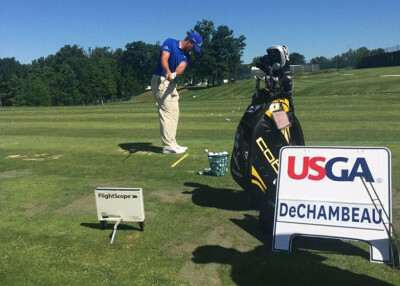 Golf TV recently spoke to Bryson DeChambeau's coach Mike Schy on how they use FlightScope as a key part in their preparation. Mike and Bryson have been using FlightScope since Bryson was barely a teen, using it to accurately measure every aspect of Bryson's game. Known as "the golf scientist", Bryson uses the feedback he receives from FlightScope to fully understand what is happening during his swing. Employing a combination of physics, math and art, he analyzes the data to gain insight on what needs to be adjusted in order to improve his game.